Well, that didn't turn out the way I expected. Or the way Mother expected, either, I suppose. Dylan returned home on Bates Motel Season 5 Episode 7, and while it seemed his death was imminent, he actually lived. All thanks to Norman. And that wasn't the only surprise. Norman also called the cops on himself to report that he murdered Sam Loomis. What a silly thing for a boy to do, especially after all the hard work he and Mother did to get rid of the body and all the evidence. Mother did not teach him well it seems. Or maybe Mother just gave him too much slack. All I know is that I hope we're not going to spend the rest of the season with Norman in a mental institute or in jail because that would be, well...boring. What will Sheriff Romero do now that he's alive and kicking again after being down and out for three long days? How will he ever exact his revenge on the boy who murdered the love of his life? He certainly won't be able to do that if Norman is locked up. And I can't see any way for Norman not to be locked up, can you? So maybe Romero will sneak into wherever Norman is and put the kid out of his misery, but that wouldn't be as satisfying as watching them duke it out in the woods hoping that Norma shows up and tries to stop the two men she loves most from killing each other. But that's just fantasy because I have no clue as to how it's all going to end. The twists and turns are endless. Like Dr. Edwards. That was a shocker. Who would have ever guessed that he's been missing for over a year?! A year, people. Norman was just talking to him on Bates Motel Season 5 Episode 5, but now it makes perfect sense, doesn't it? Norman was starting to see what was going on, and Dr. Edwards was the key to opening the door of truth. Norman knew something wasn't right, and he remembered the good doctor and how he helped him. That's the only thing I can imagine as to why he all of sudden saw Dr. Edwards. Unless he was remembering the last time he saw Dr. Edwards, but I don't think that's what it was because after seeing Dr. Edwards he had another epiphany in the bathroom of the bar. It's when he realized that there were two pieces to him. One of the most chilling scenes this hour was when Norman turned into Norma. We've seen it before, but this time it wasn't Norman dressed as Norma. It was just Norman arguing with himself, and then, like a switch, turning into her. I literally got chills watching Freddie Highmore make that change. He is so perfect in this role – which I know has been said a billion times already, but we can say it again because that's the truth. It was also different because we saw it from Dylan's perspective which made it even more powerful. He's seen his brother as Norma before, but he's never seen the actual switch happen like that. And seeing Norman fighting with himself was mesmerizing. I loved that Norman was fighting to protect his brother. He knows Dylan was only trying to do what was best for him. It's been a battle with Mother, but Norman seems to be gaining the upper hand. He's been listening to her and doing what she tells him, but he still can make his own decisions. Like killing Sam Loomis. It was her idea, but he made the decision to kill him and immediately regretted it. He wanted to turn himself in right away, but she wasn't standing for that. Yet in the end, it's what he did anyway. Dylan was the catalyst for that. But what bothers me about Dylan is that if he cared so much about his brother, why wait so long? If Emma hadn't found the obituary, he never would have called and gone home. But if he would've stuck around, maybe there wouldn't be piles of bodies in the lake by the motel. Maybe Norma wouldn't be dead. 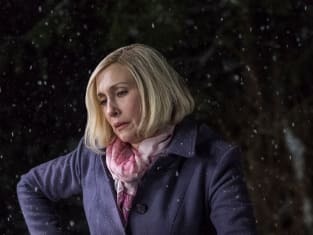 It was selfish for Dylan to just leave and go about his own life, and while it's admirable that he came back after learning of Norma's death, it's a little too late to try and fix things now. It's like any funeral. You haven't seen people in ages, yet there they are to pay their respects. Well, where have they been for the last however many years, so why bother? If you think about it, Dylan is partly to blame for all those murders. He knew (or had a very strong suspicion) what Norman did to Emma's mom, and yet, he walked away. Won't he be held accountable for not informing anyone about things earlier? So he gets Norman a few pills to tide him over, but he's no better than Norma was when she was alive. 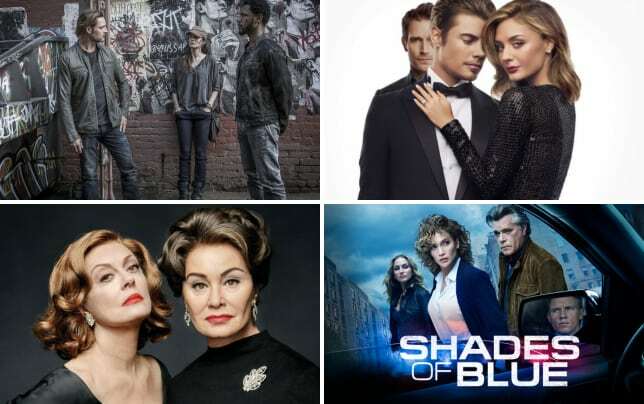 14 Shows You Should be Watching NOW! Dylan just screwed himself. He should have stayed away. What happens now is anyone's guess. How will Mother fix this? What will Dylan do? Will they find Emma's mom? It's all about to come crashing down and it's not going to be pretty. At all. What did you think of "Inseparable"? Were you expecting Dylan to die? Were you surprised about Dr. Edwards? What happens next? If you missed anything, you can watch Bates Motel online right here via TV Fanatic. I just killed someone, Mother. Permalink: I just killed someone, Mother. You wanna play with the big kids, honey, you gotta act like the big kids. Let's clean this up. Permalink: You wanna play with the big kids, honey, you gotta act like the big kids. Let's clean this up.